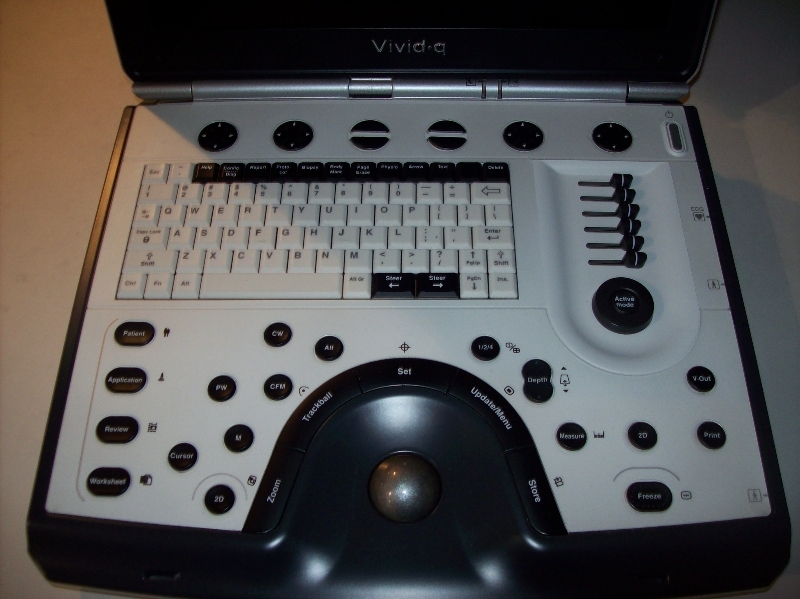 In addition to its exceptional image quality and streamlined workflow, some of the most revered features of this portable cardiac ultrasound include its larger keyboard and increased customizable controls. With customizable presets, image controls, programmable keys, annotations, and more, both beginner and expert physicians and users can easily adapt this ultrasound to their needs to provide the best results possible. The M4S-RS Matrix cardiac ultrasound probe is considered the best reason to buy the Vivid q… it allows deeper penetration and higher image resolution over the 3S-RS.The Vivid q (and other Vivid portable ultrasounds) have arguably the best design of GE’s portable ultrasound machines because they are fairly intuitive and consistent. Doctors love its image quality for cardiac, vascular, venous, small parts, and a variety of images requiring excellent nearfield imaging as well as penetration for deep tissue or difficult-to-image patients.